a piece of tube / hose ; we like to get our hoses at the local pet shop – the hoses used in fish tanks tend to be slim and very flexible. Otherwise a lot of hardware stores sell them as well. 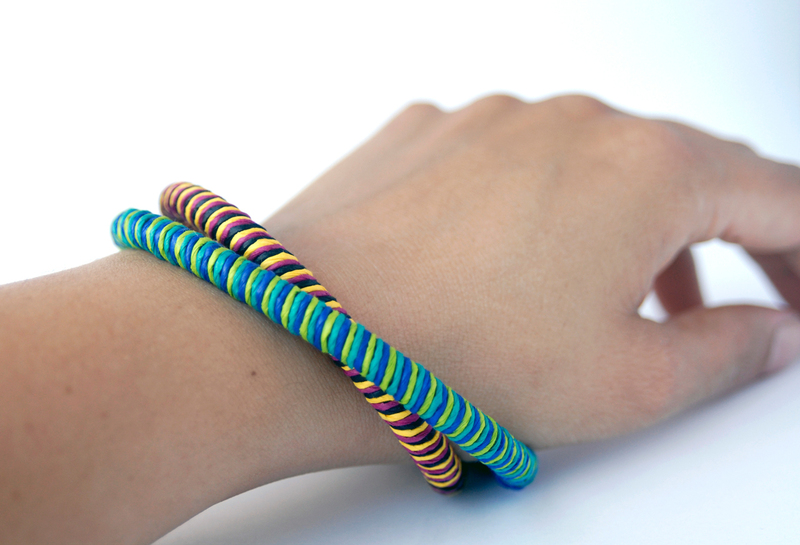 For one bangle you need about 9 in (22cm) of hose but rather buy a bit more because bangle-making is addictive. Measure the right lenght of hose around your hand, cut it and make a loop. To secure the loop we use a small piece of either thick paper twine or wire covered with glue and put into the both cut ends of the tube. Fix the ends of your chosen Paper Twines with some drops of glue onto your “hose bangle”, leave to dry a bit and then the winding starts! To be on the safe side fix the windings with a drop of glue from time to time. 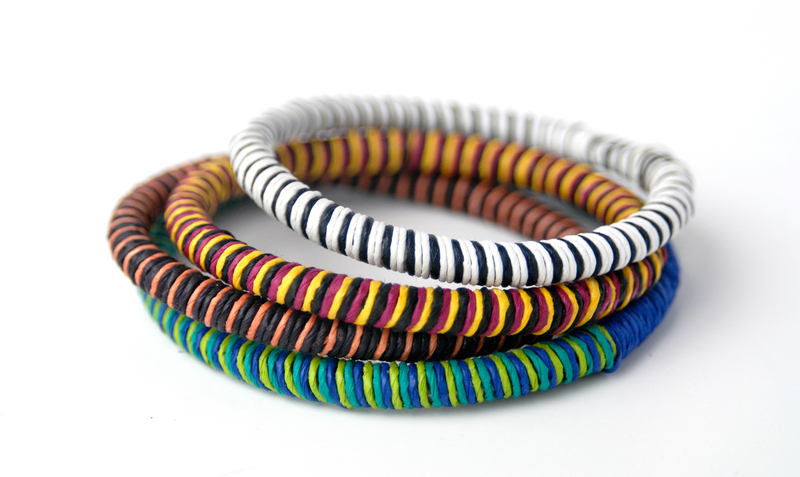 Once the whole bangle is wrapped in Paper Twine cut the twines so that the ends are on the inside, use some more glue to secure and leave to dry. And now show off your new bangles on the pool side (in the South) or of course at any of the upcoming parties in fall and winter. 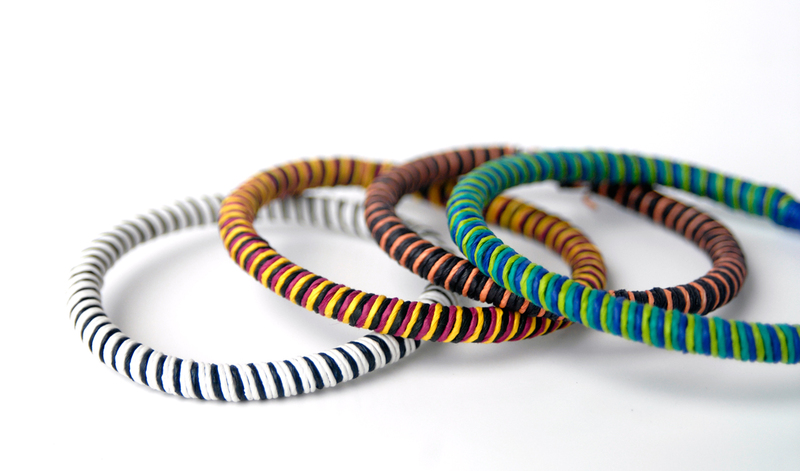 Stripey Paper Twine Bangles can get wet but please rather take them off when jumping into the pool to keep them in perfect condition for a long long time.